Transparent dressings are thin, breathable clear dressings for wounds and easy to apply. Also known as transparent film dressings, these thin sheets are generally made of polyurethane and have an adhesive coating. They make for ideal protective dressings on wounds and IV catheter sites as also for securing tubing and other devices. Transparent dressings are available in several shapes and sizes. 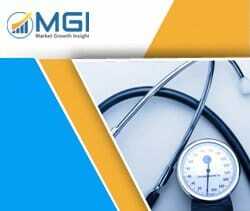 This report studies the global Transparent Dressings market status and forecast, categorizes the global Transparent Dressings market size (value & volume) by manufacturers, type, application, and region. This report focuses on the top manufacturers in North America, Europe, Japan, China, and other regions (India, Southeast Asia). Focuses on the key Transparent Dressings manufacturers, to study the capacity, production, value, market share and development plans in future. Regional and country-level analysis of the Transparent Dressings market, by end-use.